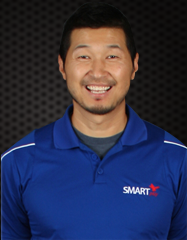 Hi, my name is Master Chun Rhee and I own and operate the Jhoon Rhee Tae Kwon Do School in Falls Church. I guess you can say I have been training with Tae Kwon Do since birth. You may remember me from the old "Nobody Bothers Me" commercials back in the early 70's and 80's. I was the one who said "Nobody Bothers Me Either!" and winked at the end. The other child in the commercial was my younger sister Meme. That commercial aired for over 15 years in the Washington DC area. The greatest benefit Jhoon Rhee Tae Kwon Do has given me over the years is that it has helped me with my other hobbies. As a child, I loved playing soccer and I was always a little more agile and flexible than the other kids on my team. Currently, I am an avid golfer and many of the principles of balance and power taught in tae kwon do are applied to the golf game. I am a 5th degree black belt under the Jhoon Rhee system and have been running the family business since 1992. I graduated from the College of William and Mary and I am happily married to my beautiful wife Lisa Lee. 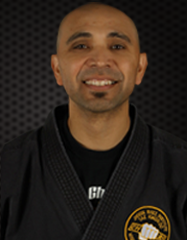 Hi my name is Master Manuel Bonilla and I am a 4th degree master instructor under the Jhoon Rhee System. 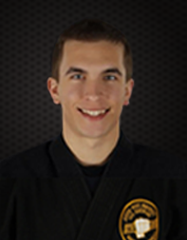 I began taking Tae Kwon Do classes at Jhoon Rhee, Falls Church as a high school freshman. I quickly fell in love with the sport and found myself at the school almost every day. As an under belt, I enjoyed every opportunity I was given to help with class instruction. I earned my black belt three years later, in the summer of 1988. Some of my hobbies include running marathons, soccer and golf.I am happily married to my wife Emma Fletcher for almost 8 years, and we have 2 beautiful daughters Eliza and Julia. 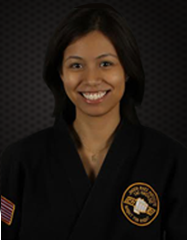 Hello, my name is Master Jackie Curiel and I have been a part of the Jhoon Rhee Institute since the age of 5, starting at Jhoon Rhee Annandale under the instruction of Master Chun Rhee and Master Tommy Lightfoot. 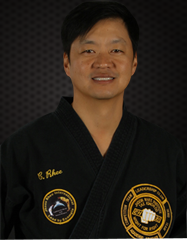 I received my first degree Black Belt at the age of nine and after taking a break returned to Jhoon Rhee Falls Church to earn my 2nd degree at 15 years old. It was around that time where I began assisting in classes which helped me to develop my confidence in my technique and ability to teach. I discovered my love for teaching children and became an instructor in 2002. Soon after in 2005, I received my 3rd Dan. 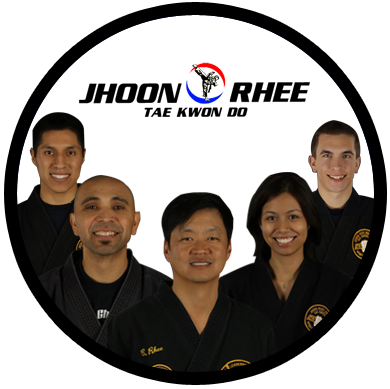 I currently coach the Jhoon Rhee Falls Church Competition Team dedicated to our under belts and the combined Jhoon Rhee Demonstration Team comprised of a select group of advanced belt students from both the Arlington and Falls Church schools. I graduated from George Mason University Spring 2009 with a B.A in Art History and a minor in Arts Administration and continued on to earn my Master's Degree in Arts Management dealing mainly with non-profit arts organizations in 2012. Jhoon Rhee Tae Kwon Do has always been a part of my life and has helped me developed into the person I am today. It helped me gain confidence, focus, and discipline as a child which later on developed into leadership and understanding perseverance as an adult. It continues pushing me to train and stay physically active. It just isn’t a sport for me, it’s a way of life. Martial Arts has been a way of life for me since I began with Jhoon Rhee in 1997 when I was 4 years old. Tae Kwon Do has helped me physically by maintaining a strong sense of health, body awareness, flexibility, and balance. Mentally I continue to practice being more disciplined, confident, and focused. I am appreciative every day for being a part of this Tae Kwon Do family. I have grown from a student to a teacher at this school. Through teaching, I hope to inspire students to become better versions of themselves each and every day. 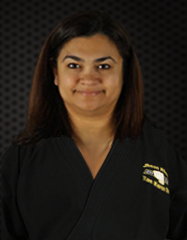 Hi, I'm Desha Prashad Nixon and I started taking classes at Jhoon Rhee Tae Kwon Do in March 1999. I became a student because I saw that my son was enjoying his classes, and I wanted to have fun too! I received my Black Belt in June 2003. I have been the Program Manager at the Falls Church Studio since February 2007. I graduated from Mary Baldwin College in 1991 and have a Masters Degree in Psychology from Marymount University. I have been married for 20 years to my husband, Bill, and have three amazing sons: William, Barrett, and Harrison - and the cutest litle dog named Jeter.